SISSI ELECTRONIC DIFFUSER HAS A RECHARGEABLE LITHIUM BATTERY INCLUDED, LASTS 8 HOURS. 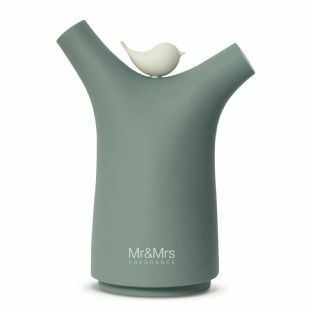 TURN THE BIRD TO CONTROL THE AMOUNT OF FRAGRANCE RELEASED. COMES WITH USB CHARGING LEAD. AVAILABLE IN 3 COLOURS - Sage, Aubergine and Dove Grey.